In my quest for really low calorie desserts, jell-o is a natural choice. It ranges from 20 to 40 calories, depending on which fruit you’re using, or if you’re using coconut water or not. 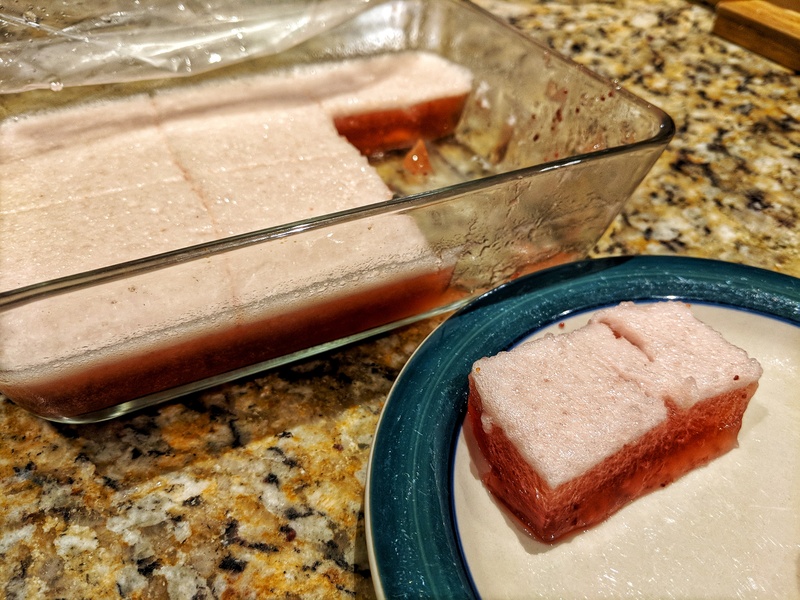 Today, I used frozen strawberries. The most interesting thing for me is that I can pack these jellos with nutritional powders that otherwise I rather not consume in plain water (since I don’t do smoothies anymore in my low calorie diet). So I take my magnesium, collagen, and vitamin C via my jello. 1. Blend the fruit with the liquid, and any nutritional powders that you may be using for about 30-40 secs, until smooth. 2. Heat up 1/3 cup of that liquid in a pot. Add the erythritol and the gelatin, and vigorously stir to dissolve them completely. About 2 minutes. 3. Mix everything again and blend for 10 seconds. Pour it into cups or a deep dish, and refrigerate for at least 4 hours. When dealing with real fruit and not just juice, foam will be created on top of the jelly. But so what? It’s delicious! Not a raw dessert, but this is the lowest calorie dessert I can ever have! And it’s so healthy too! I mean, that’s the only dessert you will see having so much nutrition in it! 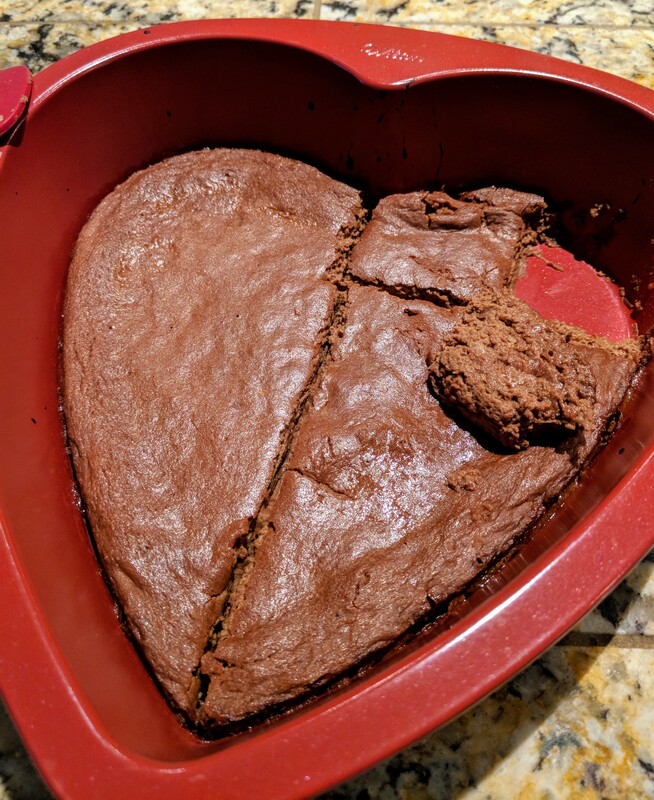 I found the original recipe on a blog that suggested using various gluten-free flours, but that was ballooning the calories per cookie to over 37. The idea came to me to use beans instead, as they seemed to have fewer calories than any of these flours, and they were sufficiently low carb anyway in small quantities! And of course, it’s all sugar-free. The texture came out a little bit soft, but it has a perfect taste, so, whatever! 1. Place everything in a blender, and blend for 1 minute. 2. Bake at 375 F for 20 minutes, or until it sets. Let cool, and enjoy! Per brownie: 26.7 Calories. Net Carbs: 2 gr, Fiber: 0.7 gr, Fat: 0.6 gr, Protein: 3 gr. A source for calcium, copper, phosphorus, B2, B12, and Choline. I’m not big on desserts, but I bit the bullet this weekend and I made one. 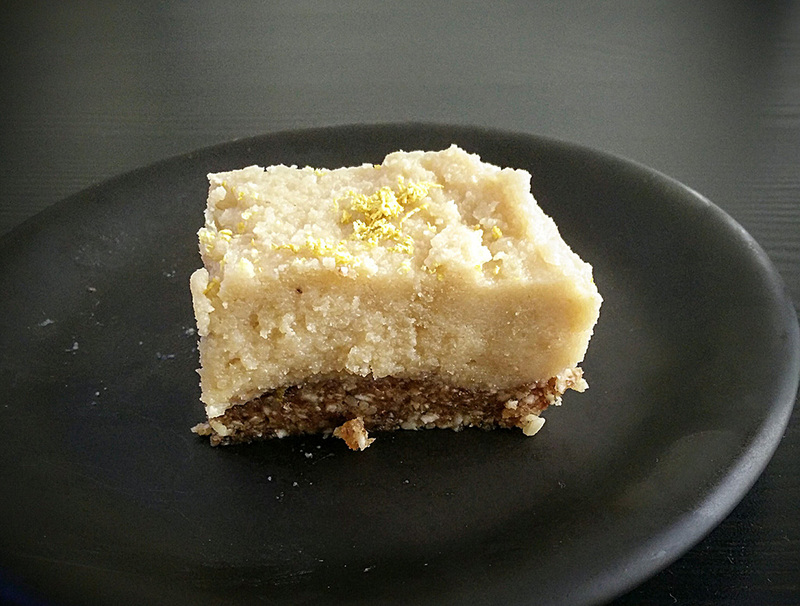 My JBQ, who dislikes cheesecake ferociously, surprisingly liked this raw, nut-based version! Be aware, it’s extremely filling. I personally kept out 2 pieces, and froze the rest. 1. Soak the cashews and macadamias for 4 hours, and then rinse well. 2. Add all the “base” ingredients in the food processor, and process until they all look like small crumbs. 3. Using your hands, press the mixture into an 8″ springform tin, and then refrigerate for at least 1 hour. 4. Melt coconut oil, and add it to a blender along all other “filling” ingredients. Blend until smooth and creamy. 5. Pour the filling into the tin evenly, sprinkle the lemon zest on top, and place in the freezer for an hour or more. 6. Cut into pieces, and store in fridge or freezer and use as-needed.